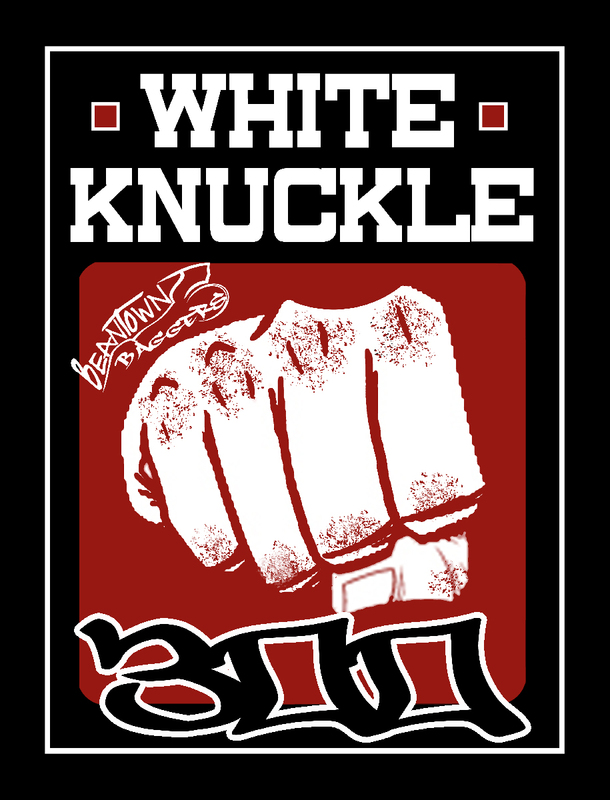 The White Knuckle 300 ride is taking place on November 2, 2013 and the routes are finally outlined below. Additionally, take a look at the White Knuckle 300 Mapping Ride or the flickr photo-set of the Mapping Ride. This will be 300 miles of challenging but unadulterated fun. The roads twist, the air will be cool and the baggers will be loud! We hope to see you there on Saturday 11/2 at 7:00 AM. Details and register on the Facebook Event page. 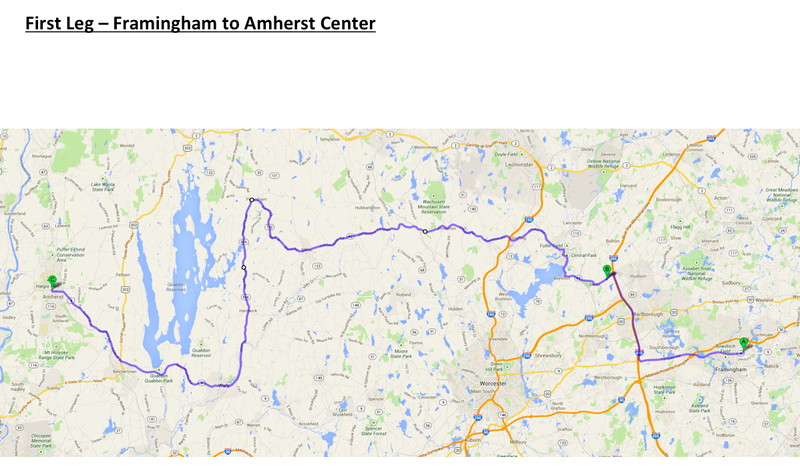 From Framingham we will take the first path toward Amherst which is 100 miles from Framingham. We will stop around Barre for bio brakes as coffee filled riders may need an extra stop in the morning. 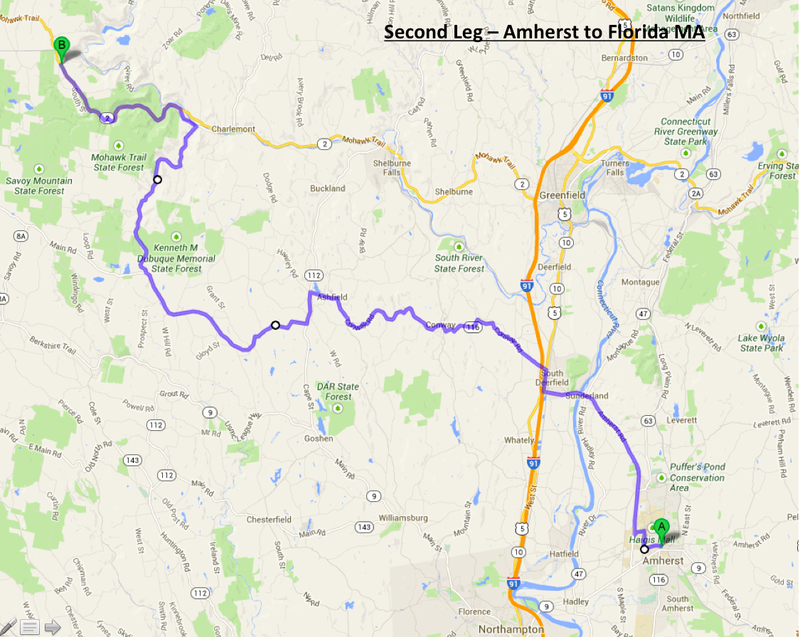 After a 15 minute stop in Barre, we’ll continue toward Amherst. Head to Florida and North adams. 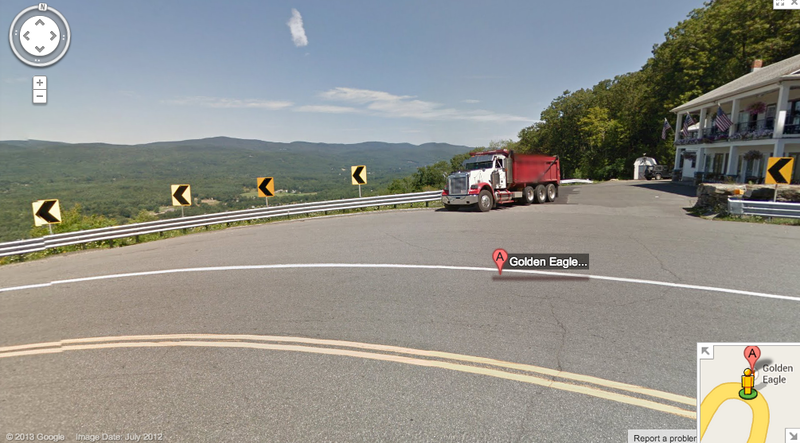 Stop at the Golden Eagle Restaurant on the Mohawk Trail for a bite to eat. 30 minute stop. Hopefully they’re open – if not, you’re on your own. Circle through Vermont and stop for gas when we get back to Rt 2 (you would have gone 110 miles without gas from Amherst). Fuel and Go – 15 minute stop. 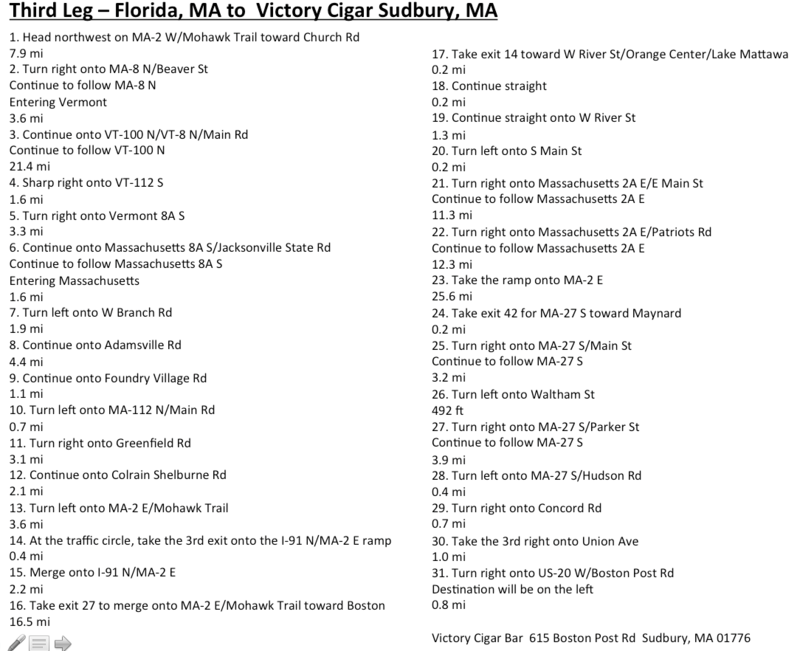 Blast back to Sudbury and Victory Cigars to finish the night. You may want to print this out for the ride in case you need an extra stop and have to catch up. Rain or shine – we ride. That’s what bibbs and rain gear are for. Hope to see you there. Meeting at 7, or leaving at 7? Thanks for the question. Meeting at 7 and leaving at 7:45. 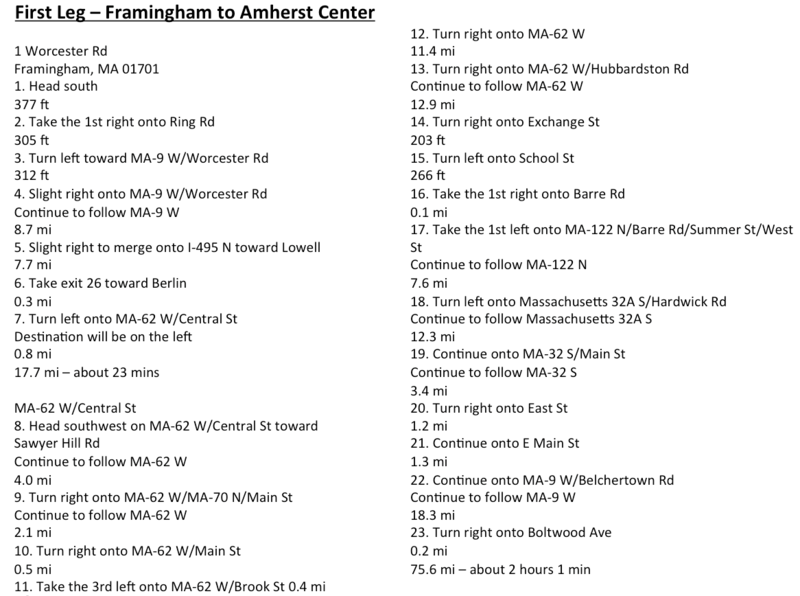 Where in framingham are you meeting? 1 Worcester rd (rt 9). The shoppers world by the Starbucks and book store.